I am sitting at Arlanda airport about to head off on a three-week vacation to the U.S. I went to bed last night at 11:30. And it was light out. I woke up at 3:30 am. And it was light out. 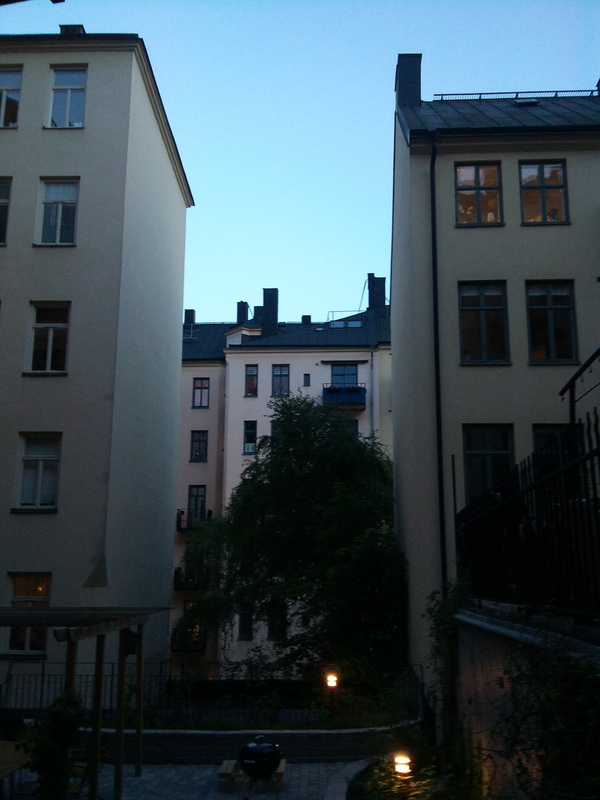 On the longest day of the year, the sun in Stockholm hardly set. Stockholm’s archipelago is gorgeous; the jutting and receding coastlines of the islands are dotted with multi-million dollar property that everyone would love to get their hands on, if only they won the lottery. Or founded IKEA. The sheer number of islands that make up the nearly 40 mile- (60 kilometer-) wide archipelago is astounding: 24,000. The wide waterways that wind through the islands are home to pleasure boats, ferries, cruise lines and shipping boats as it is a major shipping route. The scenery is lush with green and purple trees, vast rock faces and … well, opulent wealth that characterizes these islands. The ferries that take the two-hour journey to the further regions is stocked with Stockholm’s elite, traveling to their summer homes, and with screaming children. I believe they belonged to willfully ignorant parents hoping for a peaceful day trip, but it remains speculation as they were nowhere to be found on the large boat. As it was my first time in the archipelago, we took advantage of a sunny, if not chilly day, to pack a picnic lunch, sit in the sun and watch the boats go by. 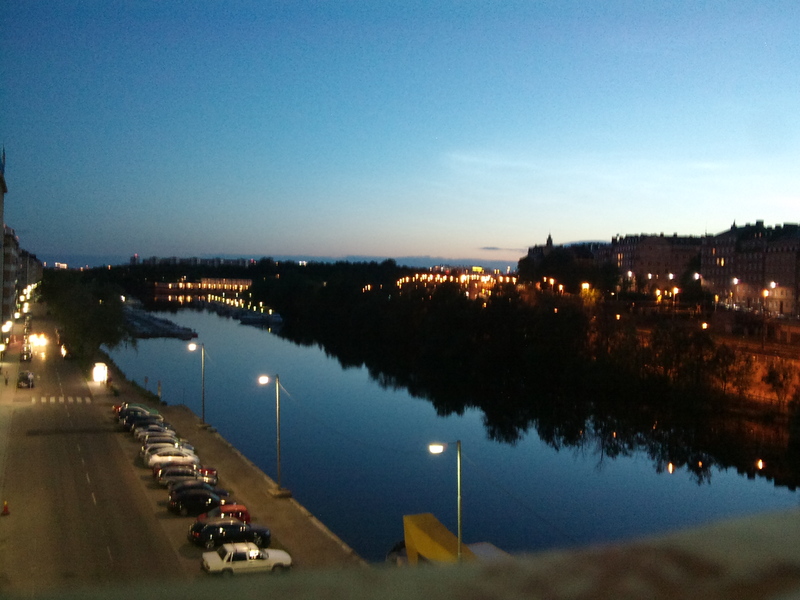 It was perhaps the most lovely scenery I have seen since I arrived in Sweden and a place I hope to go back to. When it warms up. Which it won’t. 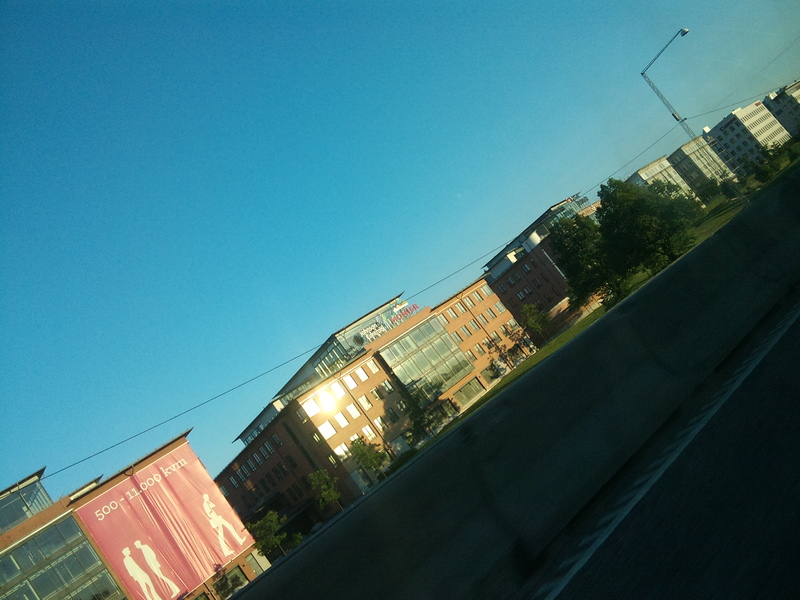 Cause it’s Sweden. 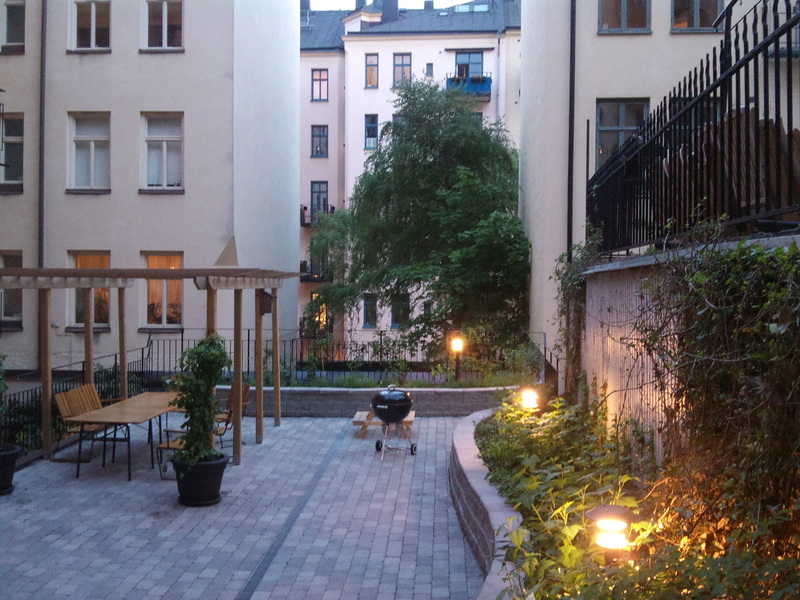 This is a picture of our back courtyard at 10:20 pm. 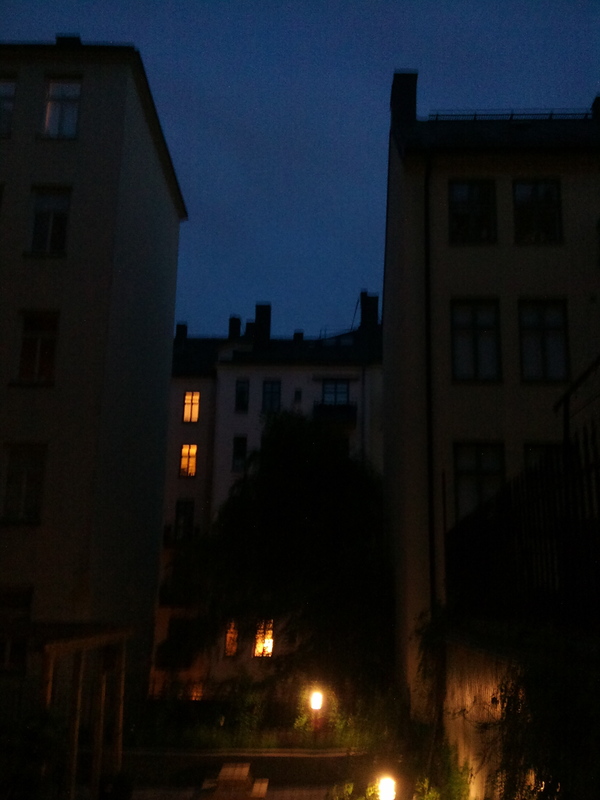 In a few weeks, it will be this light at 11:20 pm. And it’s cloudy outside! Damn, I love this country.